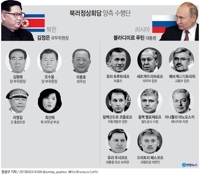 SEOUL, Dec. 21 (Yonhap) -- The following is a summary of inter-Korean news this week. 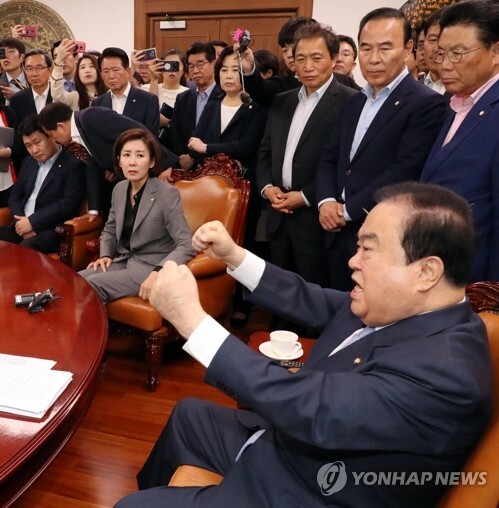 KAESONG/SEOUL, Dec. 14 (Joint Press Corps-Yonhap) -- South Korea and North Korea announced Friday they will meet with the International Olympic Committee (IOC) early next year to discuss their joint Olympic bid. SEOUL/GOSEONG, South Korea, Dec. 17 (Yonhap-Joint Press Corps) -- A group of South Korean officials and railway experts returned home Monday after completing a 10-day inspection of the rail along North Korea's east coast, the unification ministry said. The 28-member team crossed the Military Demarcation Line (MDL) in the eastern region of the peninsula at around 1:40 p.m. by bus, according to the ministry. 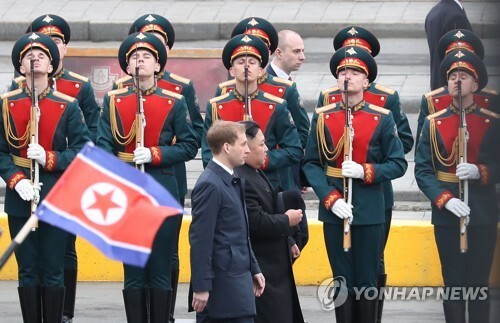 They came back after conducting an inspection of the rail line from Mount Kumgang near the North's border with South Korea all the way to the Tumen River on the country's northeastern tip. SEOUL, Dec. 17 (Yonhap) -- South Korea's military on Monday confirmed the demolition and disablement of some North Korean border guard posts (GPs) through its onsite verification last week and days of subsequent analysis. 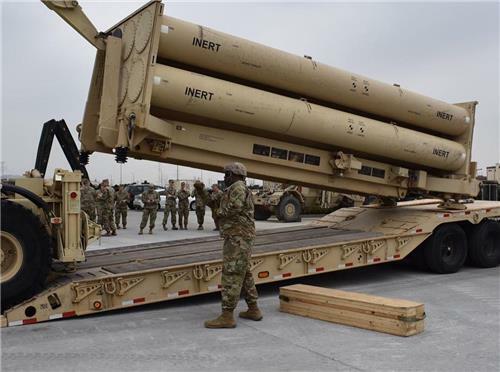 The Joint Chiefs of Staff (JCS) announced the results of its Dec. 12 work to verify the demolition of 10 North Korean GPs in the Demilitarized Zone (DMZ) and the disarmament of another. The North's military also carried out the verification work on the same day. As part of a boarder accord to reduce military tensions and build trust, Seoul and Pyongyang initially agreed to demolish 11 GPs each. But they decided later to keep one of them apiece, albeit unarmed, in light of their historical value. SEOUL, Dec. 18 (Yonhap) -- A South Korean train returned home from North Korea on Tuesday after an 18-day inspection of railways in the communist nation as part of a project to modernize the tracks and connect them to the South's. South Korean officials took over the train from North Koreans at Panmun Station, just north of the western inter-Korean border. The train crossed into the South at around 10:25 a.m., according to the ministry. 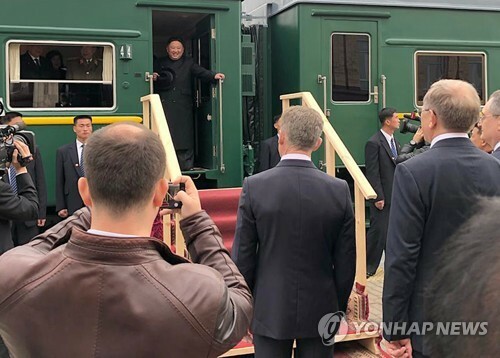 Its arrival came a day after a group of South Korean officials and experts returned home following a 10-day inspection of the eastern rail line in North Korea. SEOUL, Dec. 21 (Yonhap) -- The top U.S. point man on North Korea said Friday his government is "eager" to move on to the next stage of talks with the communist nation in an apparent effort to move their stalled denuclearization negotiations forward. Stephen Biegun, special representative for North Korea, also reaffirmed Washington's willingness to ease restrictions on humanitarian assistance for the impoverished country. 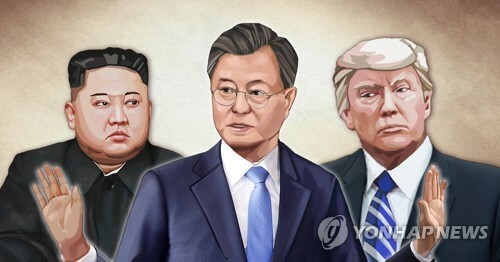 SEOUL, Dec. 21 (Yonhap) -- Top United States nuclear envoy Stephen Biegun said Friday that cooperation between Seoul and Washington on North Korea can help end the longstanding hostility on the Korean Peninsula and usher in a "brighter" chapter" for all people here. Biegun made the remarks during a meeting with South Korean Unification Minister Cho Myoung-gyon in Seoul. 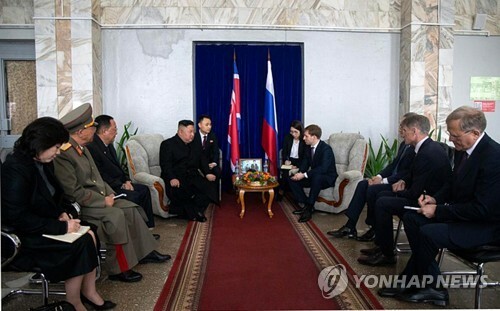 He was in Seoul to hold a second "working group" meeting with top South Korean officials handling North Korean issues. 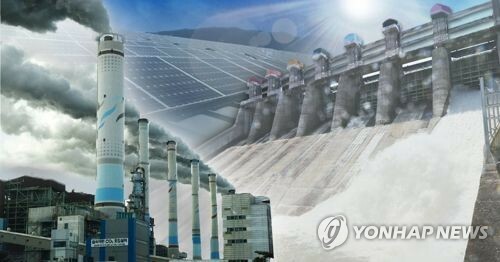 SEOUL, Dec. 21 (Yonhap) -- A group of South Korean officials left for North Korea on Friday to conduct a joint inspection of a highway along North Korea's east coast as part of an inter-Korean project to modernize and reconnect roads and railways over their border. 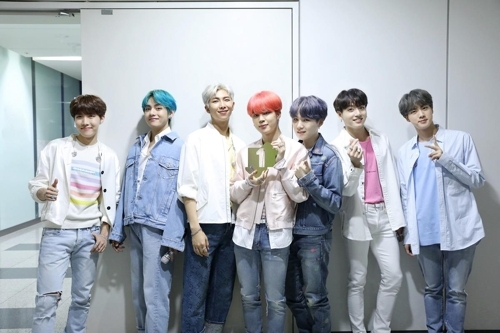 Some 10 South Korean officials crossed into the North via the eastern border at around 9 a.m. for a three-day trip to inspect the 100-kilometer Goseong-Wonsan section of the highway, according to the unification ministry.